Speedruns often require players to break a game, to find its exploits, and then abuse them. In a lot of cases, a developer will stay tight-lipped about where those exploits lie. In the case of Respawn Entertainment and Titanfall 2, though, quite the opposite has happened. Titanfall 2 is one of the mentions on our list of the best FPS games on PC – check out what else we’d recommend! An Angry Albino completed a speedrun of Titanfall 2 during SGDQ 2017, where he and his co-runner on the couch discussed how the developers actually helped out a lot in a couple areas of the run, going as far as to patch out issues that were causing their tricks to crash the game. You can watch the full Titanfall 2 speedrun at the video above, but for this tidbit, skip ahead to 1:09:00, or about an hour into the speedrun itself. Their run would sometimes crash the game at this point, but the developers stepped in to fix the issue in a patch. On top of that, it turns out enemies in a later segment – which can take some time as it’s a challenging series of enemies – only spawn in certain ways. Previously, players thought enemies would spawn randomly, but a developer, who goes by the name Soupy, messaged An Angry Albino to explain how the spawn locations are triggered. By standing in certain positions and looking in certain directions, they can influence spawn patterns. With it, speedrunners can shave off some time from their run pretty easily. 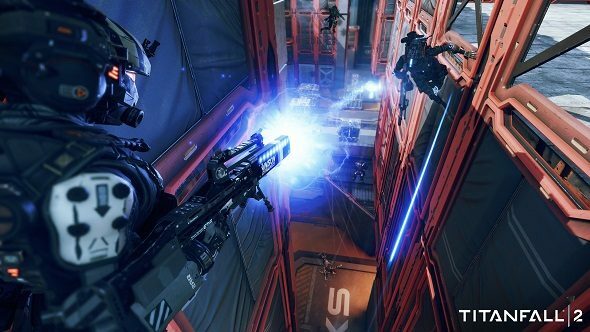 Who knows, maybe there’s more tricks to Titanfall 2 that the developers keep up their sleeves?